I recently contributed to an inspiring project called "Anatolian Rock Revival Project", dedicated to bring the non-mainstream pieces from the Turkish Rock History into light through unique art works. 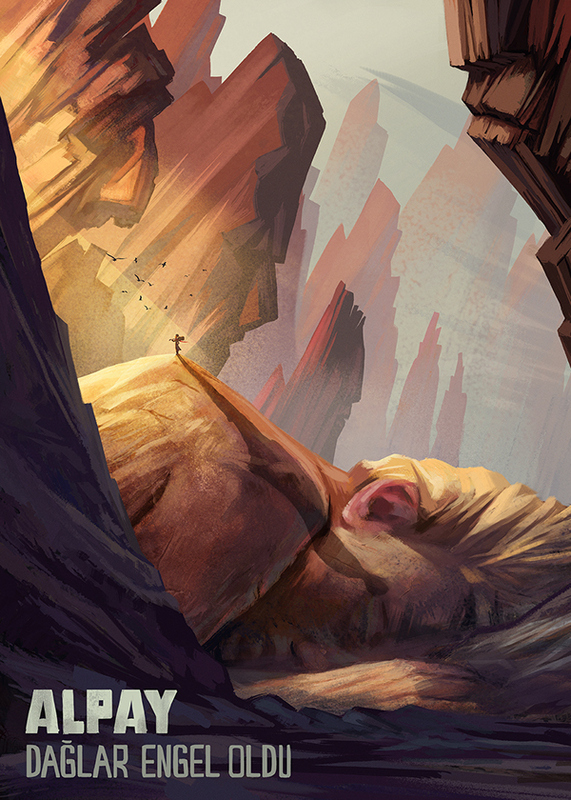 It was a pleasure to be part of it among many beautiful artworks of talented illustrators. 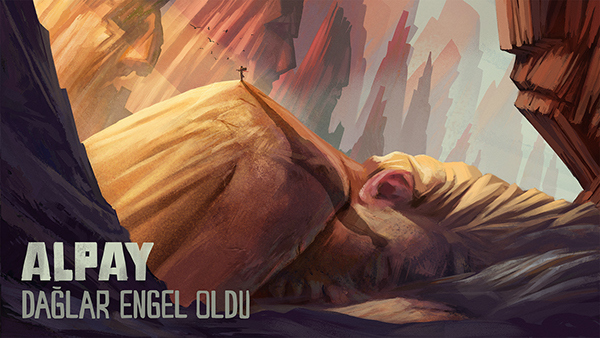 Each illustrator picks an old Anatolian rock song and creates an artwork for that particular song. Mine was "Alpay - Daglar Engel Oldu" briefly about a man who seeks his lover, but mountains prevent him from finding her. I am sharing the process and finalized pieces here. Special thanks to my brother and dear friend Ismet Cevik for his brilliant ideas and inputs. Hope you enjoy it.